I had the fun of doing this hike 3 times, and with 3 kids living near Seattle, I may be back there again. I hiked out there twice in 1985, and once in 2006. 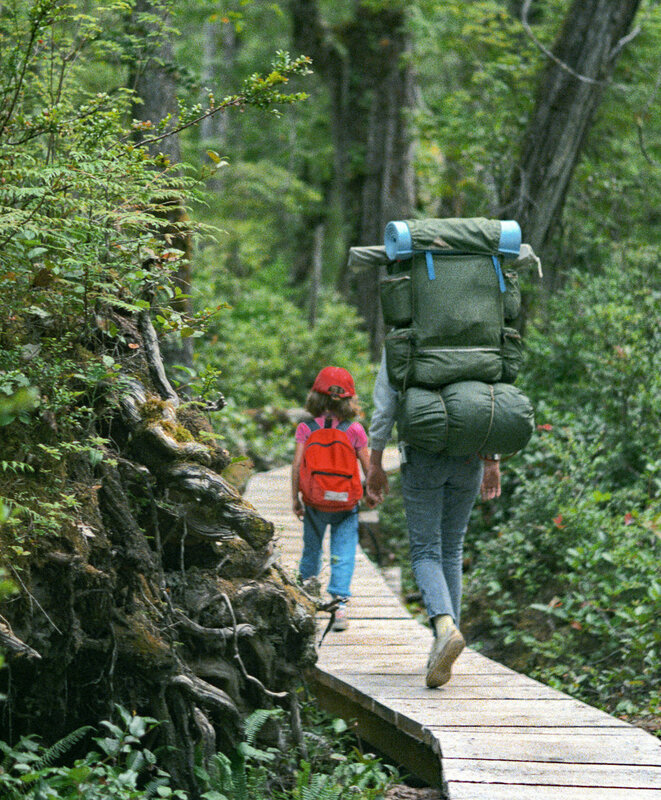 The hike starts at Lake Ozette, with a possible first night spent at a cabin at nearby Sol Duc Hot Spring. Its 3 miles from Lake Ozette to Rialto beach, with zero elevation gain. The hike is on a boardwalk through swampy country. 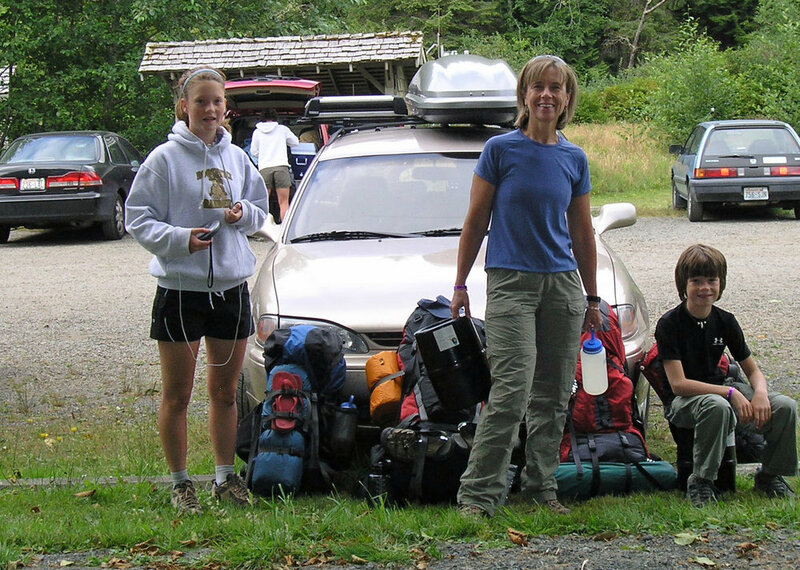 This was the crew in 2006, Ciera (15) Tuckie, and Jim (10), getting ready to start walking. As you can see, we had a bear canister, and it was a short enough hike that we just carried it in a hand, locking up the food at night. When we did the hike one could rent a bear canister at the park office. The canister is to protect from aggressive raccoons, nor so much for bears. Above, the same boardwalk through the forest in 1985, with Deah (6) and cousin Maureen Gallagher. Below: Deah and sister Laura. Two photos above: Ciera and I did some ballet on the beach. I was teaching her how to do what we call a gran jete in ballet. The second day you can hike south down the beach (at low tide), and camp at Sand Point. You can have a campfire there with driftwood if is below the high tide mark. Jim made a beach comber shelter to get out of the drizzle, and we had a great time exploring the tide pools and watching the otters and seals in the bay. The third day you hike 3 miles by a different trail back to Lake Ozette. On the hike down the beach are some petroglyps worth seeing.